SACRAMENTO, Calif. — Less than three months after California launched legal marijuana sales for adults, the state could consider temporarily slashing hefty tax rates that some say are driving buyers into the black market. Growers and sellers in the nation’s largest legal marketplace have been complaining that taxes that in some cases can near 50 percent are too high. Many consumers, they say, are shopping in the underground market to save a buck. 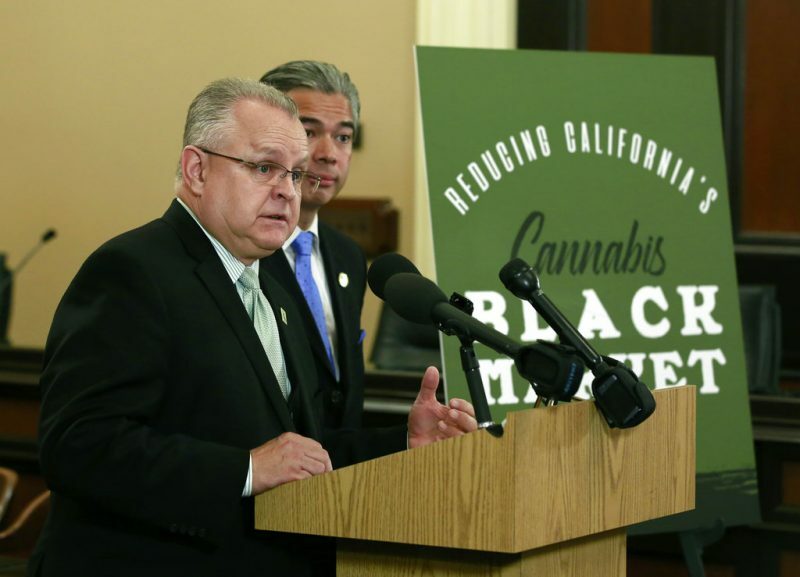 “Without tax relief to make taxes more affordable, we will continue to empower California’s mature black market,” said Lackey, of Palmdale. Criminals don’t pay taxes, check IDs to avoid selling to underage buyers or follow safety regulations, Lackey added. It wasn’t immediately clear when the bill might be considered, or its level of support within the Legislature. California began legal sales for adults on Jan. 1 as part of a sweeping plan to transform its long-running medicinal and illegal markets into a multibillion-dollar regulated market. The reshaping of such an expansive illegal economy into a legal one hasn’t been witnessed since the end of Prohibition in 1933. Generally, an eighth of an ounce of good-grade pot, enough to roll five or six joints, sells for around $35 in legal shops in the Los Angeles area. Direct taxes alone would slap over $12 on that price: the 15 percent state excise tax, the city’s 10 percent tax on recreational purchases, and the usual sales tax, nearly 10 percent. Store policies appear to vary on how much of that cost is reflected in the advertised price on websites. The lawmakers’ proposal would trim the state excise tax to 11 percent from 15 percent, and suspend the cultivation taxes for three years. The state has estimated it would collect as much as $1 billion in marijuana taxes within several years. It wasn’t immediately clear how deeply the proposed cut would reduce that revenue. “The one thing we all do agree on is that no matter what tax rate, whatever structure we put together, the likelihood of this entire system being undermined by the black market is very real,” Villegas said. Bonta said the proposal was intended to help legal businesses during the transition period into the regulated market. “If we don’t get it right in the beginning, it will be hard to make up for it later and correct in the future,” Bonta said.